The Mars Atmospheric and Volatile EvolutioN (MAVEN) mission will obtain critical measurements of the Martian atmosphere to help understand dramatic climate change on the red planet over its history. MAVEN will provide information on how and how fast atmospheric gases are being lost to space today, and infer from those detailed studies what happened in the past. Studying how the Martian atmosphere was lost can reveal clues about the impact that change had on the Martian climate, geologic and geochemical conditions over time, all of which are important in understanding whether Mars had an environment able to support life. MAVEN is scheduled to launch on November 18, 2013 from Cape Canaveral, Fla. The trip to Mars takes 10 months, so the spacecraft will go into orbit around Mars in September of 2014. It will take 5 weeks for MAVEN to get into its final science-mapping orbit, test the instruments, and test science sequences. After this phase, MAVEN has a 1-Earth-year primary mission during which it will make its key measurements. The MAVEN orbit will be elliptical. At its closest point to the planet, it will be 93 miles above the surface. At this altitude, the spacecraft will pass through the upper atmosphere on each orbit and can sample the gas and ion composition directly. At its highest point, it will be more than 3728 miles above the surface and can carry out ultraviolet imaging of the entire planet. This combination of detailed measurements and global imaging is a powerful way to understand the properties of the upper atmosphere. The altitude in the MAVEN orbit will be lowered for five “deep-dip” campaigns during the mission. In each deep dip, the spacecraft will take measurements down to an altitude of about 77 miles. These measurements will provide information about the well-mixed lower atmosphere, giving scientists the “full picture” of the atmosphere. 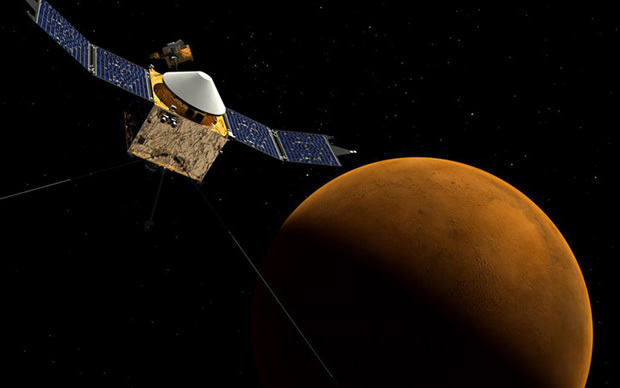 The MAVEN spacecraft will make measurements in all regions of “near-Mars” space. These measurements will allow scientists to characterize the current state of the upper atmosphere and ionosphere, determine the rates of loss of gas to space today, and extrapolate backward in time in order to determine the total loss to space through time. 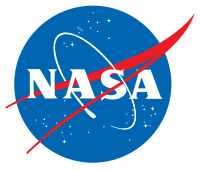 Copyright © VisitNASA.com. All rights reserved.